KLM and Air France dropped the prices from Vancouver to virtually everywhere they fly in Europe, Tunisia, and Morocco down into the $500s roundtrip including taxes today. These prices are also available from Victoria. Mostly October, November 2016, but also some in September, and in January/February/March 2017, depending on the destination. You may want to focus on the destinations that are further south, as the weather will still be warmer in the fall. For more info on the Flight Centre promotion, check out this blog post. 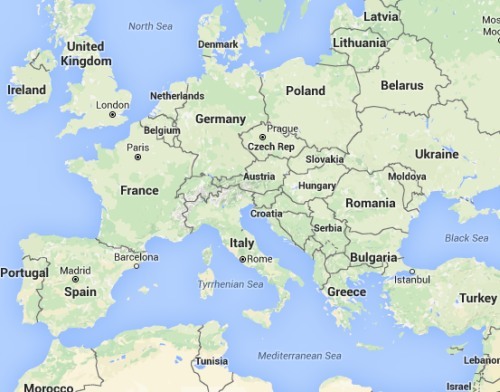 Below are some more destinations in Europe that *may* be available in the $400s to $600s roundtrip including taxes. ... you can book flights through FlightHub using dates up to about the third week of June 2017. There are some pretty cheap prices starting to appear for May and June 2017 travel to Europe. example: Vancouver - Barcelona, Spain for $616 CAD roundtrip including taxes. May 17 to 31, 2017. Any destination in Europe would be worth trying at the moment. I'm not sure if Flight Centre is able to book the late May / June 2017 flights or not. Their online calendar does not go that far ahead, but perhaps it's possible over the phone. For the promo itself, there are no blackout dates. Air Canada has dropped their non-stop flights from Vancouver to London (LHR), England down to $589 CAD roundtrip including taxes in September, October, and November 2016. And January to May 2017. With the Flight Centre promo, it should be possible to book these flights for $489. Non-stop flights from Vancouver to Amsterdam, Netherlands for $539 CAD roundtrip including taxes are available in October and November 2016. And January to March 2017. With the Flight Centre promo, it should be possible to book these flights for $439. Still seeing the low prices this morning. It's worth trying Expedia, FlightHub, FlightNetwork, ITravel2000 or Momondo, even when Google Flights doesn't provide a booking option. This is probably a sign that the deal is ending. At the moment, relatively low prices in the $400s and $500s roundtrip are still verifying on Expedia from Vancouver to Dublin. The situation may be the same for other destinations. This likely won't last too much longer! 20 Responses to "Madness to Europe, Tunisia, and Morocco! Insane prices to many, many places in the $400s and $500s roundtrip including taxes"
Those are awesome deals! 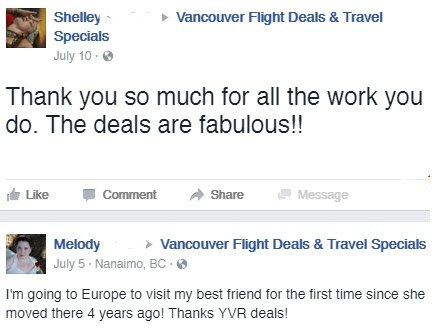 Thanks for sharing again! One question that you might be able to answer quickly. 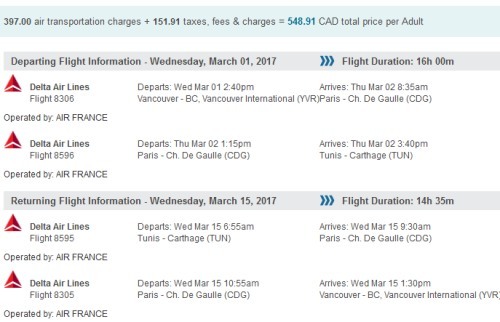 Those flights connect in CDG (most of them), what if we are looking into going to Paris within those dates, but when I look at YVR-CDG the prices are a lot more expensive, could I then book a YVR-MAD flights (at a cheaper price) and decide to not take my CDG-MAD flight? Do you airlines and/or countries have rules against that? I think they cancel your return if you don't show up for a prob of your flight, you could probably do a stop over though! Unfortunately all airlines will usually automatically cancel the remaining legs of your ticket, as soon as you intentionally miss one of the legs. So it can really only be done with a one way flight, or a roundtrip flight that happens to stop in your departure city on the way home. How do you look at the winter 2017 rates? I wasn't able to look that far ahead on the calendars, I must be missing something..
Kristin: I've changed the wording. It was confusing people. January, February, March 2017 are the winter months available. ahh makes sense, thanks for the speedy reply! Which cities are available for 2017? Does anyone know if any of the destinations are for direct flights? Planning to fly to RAK from YVR with a stopover at AMS (there's layover already). Does anyone know how to add a stopover at AMS for free for a week or so? Thanks! THANKS CHRIS! Just booked my trip for $427.plus some change...... for Spain! Dear Chris - If not for your dedication and hardwork in maintaining this website, my long time dream of Spanish vacation would have been a dram forever. You made it possible for me. Can't thank enough!! I just gifted myself a 10 day vacation in Spain for my this year's Birthday. Sounds like a great gift! 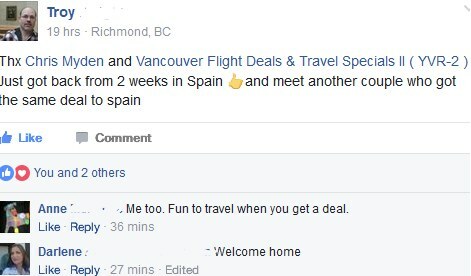 Have a great time in Spain! I've been watching and dreaming after every one of your blog post.......finally booked our first family trip to Europe based on your amazing info!! Thanks so much. No problem Jenn! Thanks for continuing to check out the site. Have fun in Europe with the family! Nice one Jessica! Enjoy your honeymoon in southern Europe.